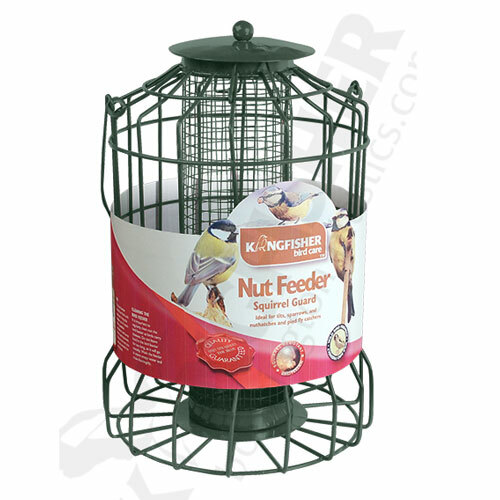 Nut Feeder with Squirrel Guard. Green powder coated metal construction. Designed to deter squirrels whilst allowing smaller birds to feed. Premium bird nut feeder with a brown hammertone paint finish. 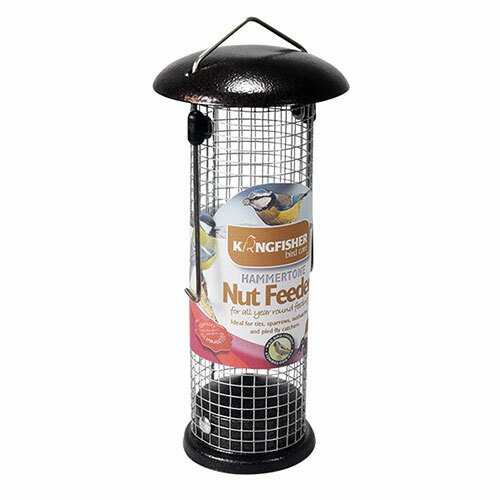 Steel mesh nut holder and complete with metal hanging loop. 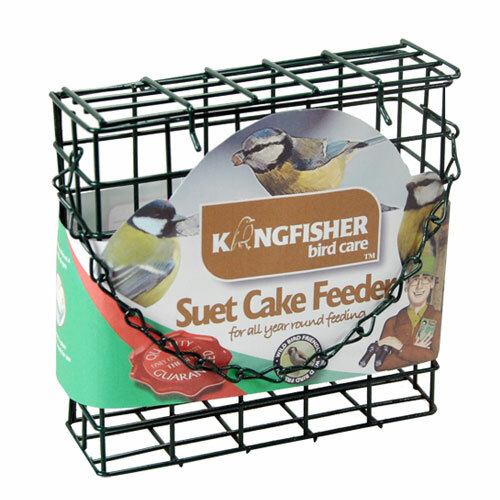 Premium Bird Feeding Station in hammertone brown colour finish with mesh feeding dish and water dish. 0.9kg bag high energy premium wild bird feed. Contains sunflower hearts, red dari, white millet, naked oats, cut maize, canary seed, white dari, peanut granules, suet pellets, niger seed and soya oil. 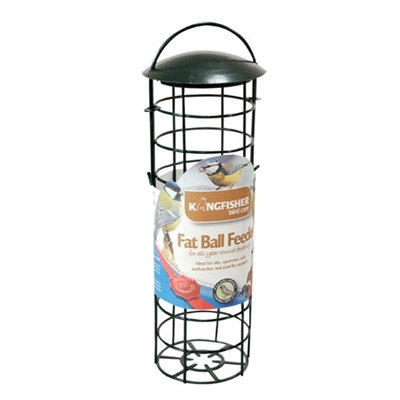 Fat Ball Feeder with Squirrel Guard. Green powder coated metal construction. 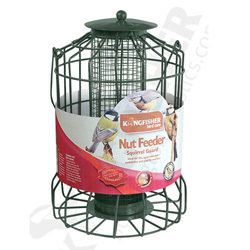 Designed to deter squirrels whilst allowing smaller birds to feed. 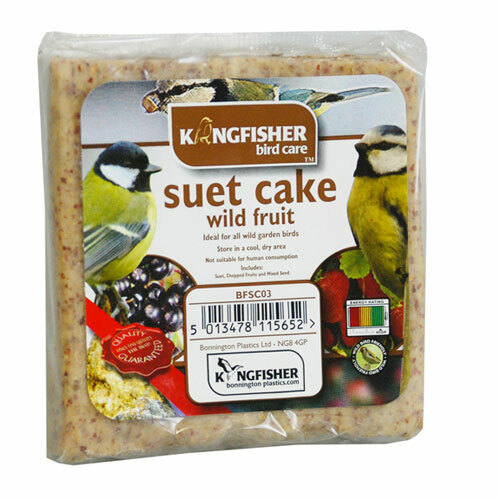 Suet cake with wild fruit feed for wild birds. Includes suet, chopped wild fruit and mixed seed. 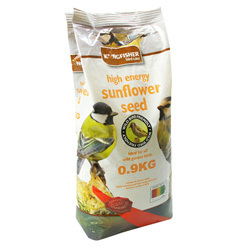 0.9kg bag sunflower seeds for wild birds. 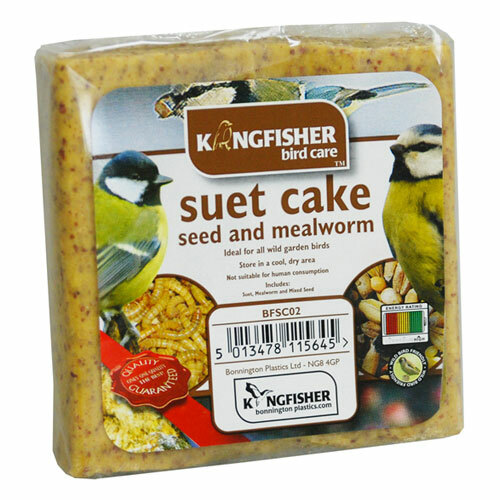 Suet cake with mealworms feed for wild birds. Includes suet, mealworms and mixed seed. 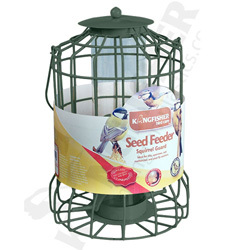 Seed Feeder with Squirrel Guard. Green powder coated metal construction. 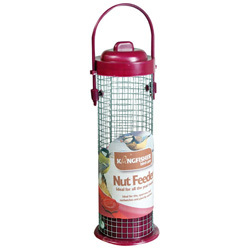 Designed to deter squirrels whilst allowing smaller birds to feed. Suet cake feeder. Plastic coated wire construction. Complete with hanging chain. Premium bird seed feeder finished in a brown hammertone paint finish. 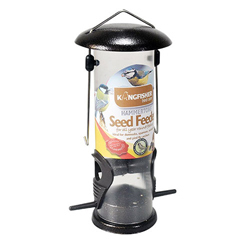 Clear plastic tube for seed and complete with perches and metal hanging loop. 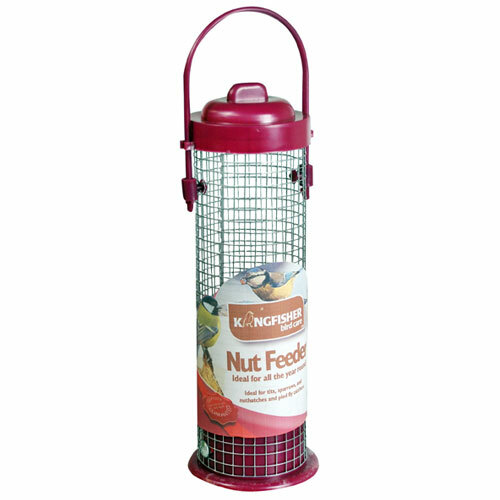 Standard nut feeder. Wire mesh and plastic construction. 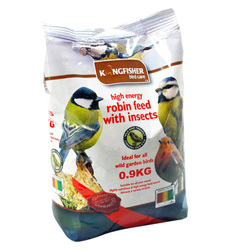 Ideal for hanging in the garden to attract and feed wild birds. Complete with a full colour wrap around label. 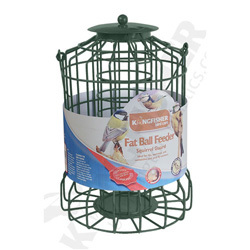 Suet fat ball feeder. Plastic coated metal construction. 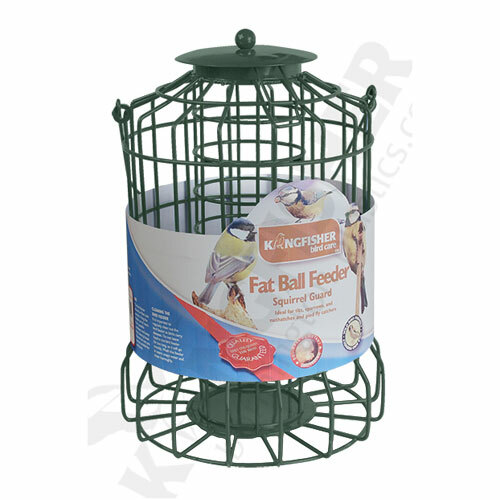 Holds up to 4 suet fat balls. 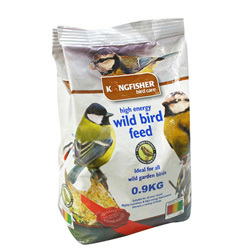 50 pack of suet fat balls for wild birds. Packaged in tub with resealable lid. Complete with a full colour label. 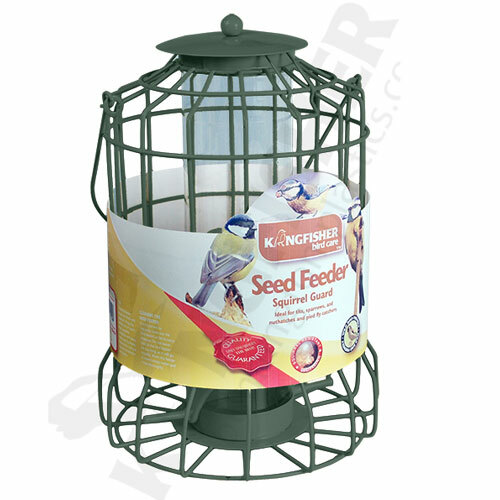 Deluxe niger seed feeder. Polished steel construction. Complete with hanger. 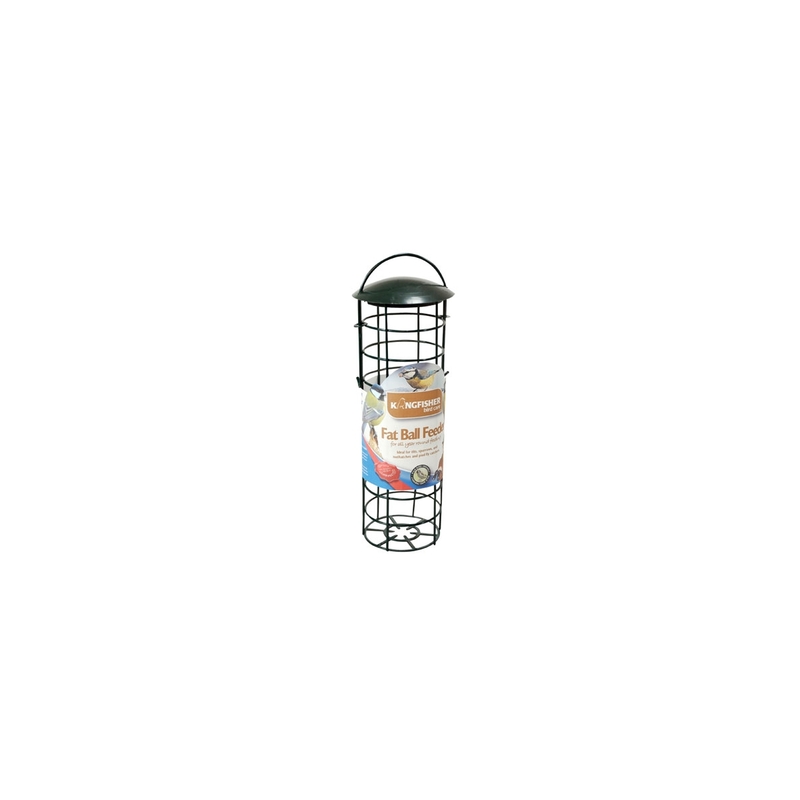 Ideal for hanging in the garden to attract and feed wild birds.Deluxe niger seed feeder. Polished steel construction. Complete with hanger. Ideal for hanging in the garden to attract and feed wild birds. 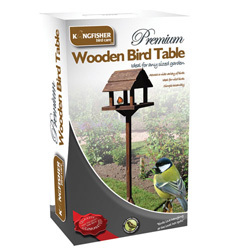 Hanging wooden bird table. Self-assembly required. Size H20 x W25 x D25cm. 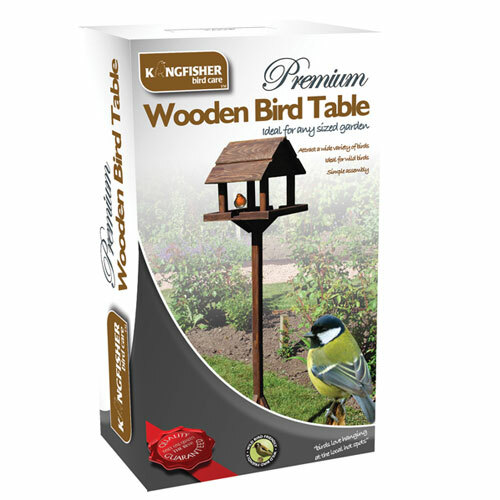 Deluxe bird table with robust design. 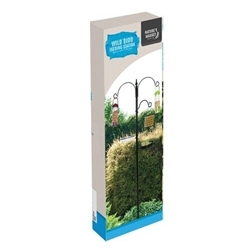 Looks great in any garden. Simple and quick assembly. 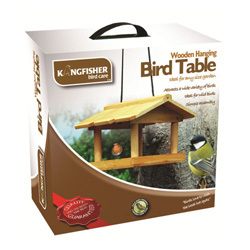 Ideal for attracting wild birds of all sizes. 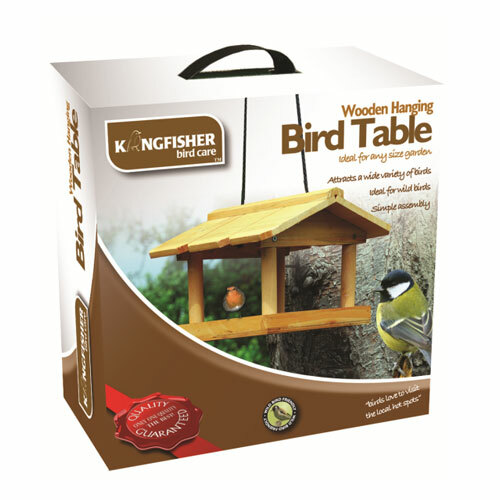 Sturdy tripod base and angled roof for protection whilst feeding.